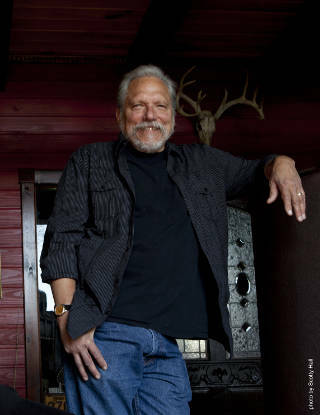 Englert Theatre — Friday, Aug. 12 at 8 p.m.
For more than 50 years, Jorma Kaukonen has been making the sort of music that shakes the world. It’s obvious, in talking to him, that this comes from simply living in it. When we spoke, he had just returned from a motorcycle ride with his daughter in the hills surrounding his Fur Peace Ranch in Ohio, where he both lives and teaches. Despite the fullness of his busy life, it’s clear that he is someone who makes time rather than chasing it. Kaukonen is unhurried—he engages the world with grace and patience, revealing in every turn of phrase why he is as renowned as a teacher as he is as a guitarist. At the 58th annual Grammy Awards in February, Kaukonen’s band Jefferson Airplane was among the Lifetime Achievement Award recipients. “None of us got into this for the awards,” he demurs, but acknowledges the honor of being recognized by his peers. The band he affectionately refers to as “the Airplane” was a hugely formative part of his creative years, and is inescapable in conversations about psychedelic rock and the music of the 1960s. But it’s Hot Tuna, formed in 1969 by Kaukonen and life-long friend (and fellow Jefferson Airplane member) Jack Casady, that has cemented Kaukonen’s place in guitar history. With space in the songs for him to explore his developing style, Kaukonen and Hot Tuna flourished in tandem. 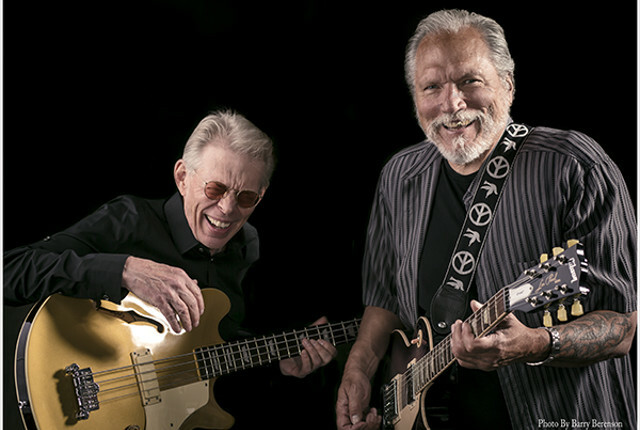 (Hot Tuna is coming to the Englert Theatre in Iowa City tonight, Friday, Aug. 12 at 8 p.m. Tickets are $36.50–55.) Kaukonen has also had a prominent solo career, with a wide range of collaborations. It’s when he talks about teaching, though, that his voice shimmers. He opened his guitar camp and school at Fur Peace Ranch 19 years ago, the natural culmination of a lifetime of teaching and networking. His educational career began in 1962, when soon-to-be Jefferson Airplane bandmate Paul Kantner suggested a teaching gig to him at a store in San Jose, CA, while he was at college in Santa Clara. Kaukonen laughs at the memory. He asked his friend, in confusion, “What would I teach?” Kantner responded, “Why don’t you teach what you know about playing the guitar?” It was so obvious that he’s been doing it ever since. His affection and respect for his students is palpable. Do you find that there’s any of your former students that come back around and get in on the action on the other side? Yeah. Absolutely. There’s a gal named Heidi Holton … she came to the ranch a number of years ago, and has really kept her nose to the grindstone; she just played our Arts and Minds Festival last week. Heidi’s the real deal. I really can’t take any credit for what she is, ‘cause she’s put so much work in, but she did take a bunch of classes her and has devoted herself to the music. You’ve done a lot with development in terms of instruments — you’ve got your signature model M30 guitar — is that something that you’ll be continuing working on in the future? Is there anything about design that excites you? The Martin M30 — that was just an unexpected honor. I’m not a guitar builder or designer, but Martin came to me about doing a signature guitar, so they allowed me to work with them and we came up with a lot of things that I like. I mean, I wouldn’t know how to get a great tone or any of that kind of stuff … and so there’s a lot of hand holding, and they walked me through this process, and they came up with a great guitar that I’ve been playing since it came out. Now, it’s one of these limited edition things, here; it’s not in production any more. If they were to come up with something else, want to do something else, I would be so honored, and I would jump on it immediately. In the meantime, if nothing else: I’ve got three of ‘em. Excellent! So you won’t need another one any time soon. Well, I hope not. But if I do, I know where to go to get ‘em. Do you have any plans coming up for recording with any of your projects anytime soon? Last year, I did a solo project called “Ain’t No Hurry,” for Red House Records. And Jack and I are thinking about — it probably won’t be ‘til next year — we’re gonna do another Hot Tuna project, and, I understand these things change all the time, but as of today, we’d like to do something live, like our first Hot Tuna record we recorded at New Orleans House, Berkeley, wow, in the early ’70s. Yeah of course. And that’s OK. But one of the things we did, I think it was in ’11, we did a studio record — y’know, I love making music, any time I can make music it’s a good thing — but what Jack and I do a lot of times when we play acoustically, there’s an excitement to live music that, in my opinion, is not impossible, but very difficult to recreate … So that’s what we like to do, whether that’s actually what we do when the time comes to do it, we’ll find out. But I really love live music. And so, yeah, there’s bootlegs out and stuff like that, and that’s not a bad thing. People get to hear you working without a net. What’s the most exciting thing for you about that interaction with the audience that you get from live performance? So much of what happens on stage is a team effort with the audience. It’s difficult … to feel excitement in your performance. You know, Jack and I have been doing this for a long time; some nights are better than others. We don’t have train wreck nights. But there’s a thing, when you’re surfing with the audience — it’s just a feeling that you can’t beat. It’s important. No question about it.